"I really don’t know why this study has been ignored. I’m especially surprised it’s not warranting mention in the environmental media. (Or maybe I shouldn’t be? I’m guessing places like Grist would be playing it up if Hansen found, instead, that nuclear power had killed millions of people.) "
A landmark study has put the figure of 1.84 million on the number of lives saved by the worldwide use of nuclear power instead of fossil fuels. The report co-authored by former NASA scientist James Hansen presents a dramatic new case for nuclear energy. 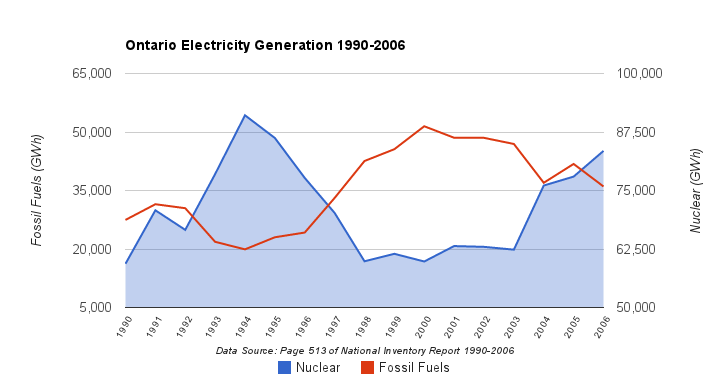 It begins by taking historic generation data from the nuclear sector and estimating emissions from fossil fuels that would likely have met the same generation role if nuclear had not been used. Nuclear plants with poorer performance below 65% capacity factor were swapped for gas generation while higher performers were swapped for coal, which worked out as a mix of 95% coal and 5% gas replacing nuclear." The results are projected total emissions that would have probably led to the deaths of 1.84 million people between 1971 and 2009 based on average mortality estimates from fossil combustion pollution. This is probably an underestimate, said Hansen and co-author Pushker Kharecha, noting that the life-cycle mortality estimates are the biggest source of uncertainty in the report: Some coal units produce three times more dangerous pollution than the average they have used. The higher estimate for lives saved by nuclear energy was over 7.5 million - and these figures do not count a range of serious respiratory illnesses, cancers, hereditary effects and heart problems. In the recent time period of 2000-9 nuclear power plants avoided pollution which would otherwise have caused around 76,000 deaths per year, said the report. Entitled Prevented mortality and greenhouse gas emissions from historical and projected nuclear power, it was published as a 'just accepted' peer-reviewed paper in Environmental Science & Technology on 15 March.